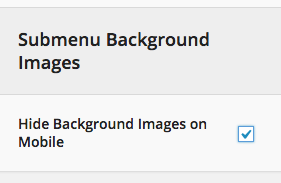 You can assign an image to a submenu background via the Menu Item Settings. 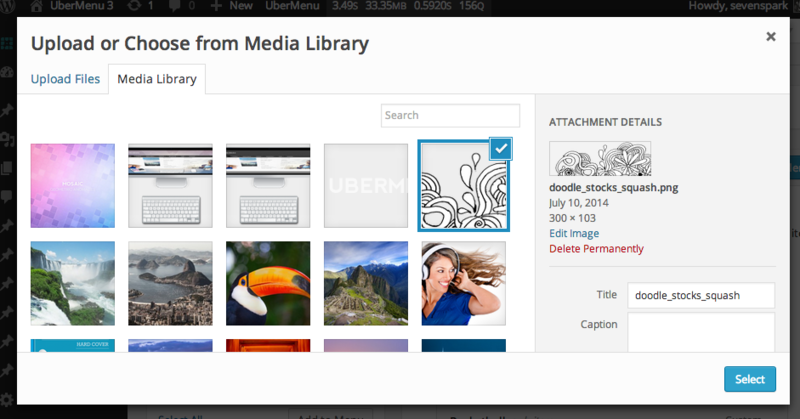 Upload a new image or select your image from the Media Library. Click the blue Select button to set your image. Normally, you would leave this set to auto to display the image scaled to its proper proportions, but any valid background-size property can work. 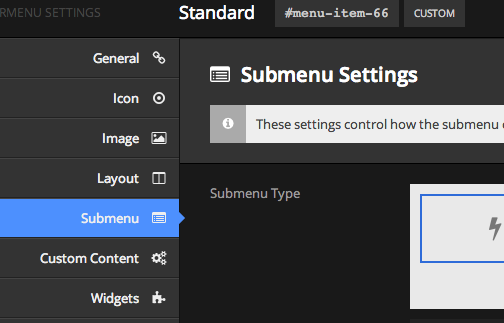 cover ensures the entire submenu is covered by the background image. If you want to leave extra space for the image in the submenu, you can use padding to do so. The value here works just like the value for the CSS padding property – you can declare 4 values, top right bottom left. Click the Save Menu Item button to save your settings.